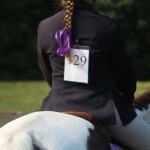 If you are intimidated by the thought of taking your horse off property and looking for stress-free, laid-back horse shows White Rose Equestrian is perfect for you. 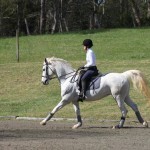 We offer Fun Shows for all ages and a Schooling Dressage Series. Our facility is easily reached from all areas of Charlotte. With a large trailer parking area and plenty of space to warm up we strive to make your visit to us as enjoyable as possible. Come out and take a look. At White Rose Equestrian we believe riders of all abilities should have the opportunities to show and improve their riding. Our horse shows run from spring through fall and offer something for everyone. Come and join us and enjoy your showing experience. We are also always open to suggestions for events you would like us to hold. We also hold regular clinics and social events. A full list of upcoming events can be found here and also on our Facebook page. If you are interested in attending any of these shows or looking to volunteer at a horse event please let us know (704) 559-9122 or contact us here.